It was my last semester as an undergraduate student at the Ateneo. Fr. Schmitt wanted to see me in his office. Apparently, a rumor has reached him that I was interested in pursuing a teaching career. He was actually a bit surprised, but he offered me a temporary position in the department. I was excited, as two of my classmates were likewise staying after graduation to teach. But I was disappointed after meeting Fr. Schmitt, while my friends would have their own courses to teach, I would be working as a teaching assistant to Fr. Schmitt in his ChemStart program. He basically thought that I was not yet ready for prime time. ChemStart was a summer program which introduced chemistry to high school students who had just finished second year. It was an opportunity to provide high school students an introductory taste of chemistry. For the entire summer, the high school students go through a full day of experiments in the laboratory, which were supplemented by short lectures. The students were also given the chance to make their own soap﻿﻿. We took advantage of the learner's preference for visual input. Perception likewise was tilted towards the other modes of sensing: hearing, touching, smelling and tasting. But we did try to bridge visual into verbal and sensing into intuition. Students processed what we were teaching them in an active way, oftentimes directly experiencing scientific phenomenon, but we also exerted efforts to bring our exercises into a reflective domain, one that made use of imagination and thought processing. The students added dropwise a strong base (NaOH) solution to a flask containing a strong acid (HCl). The solution inside the flask started with the color red after adding a few drops of the universal indicator, and stayed red even with the addition of NaOH. Then, after adding a number of drops of NaOH into the flask, with just one drop of NaOH, the solution turned purple. The students repeated the experiment, but this time, using a weak acid (acetic) solution inside the flask. In this case, addition of NaOH made the solution pass through the colors orange and yellow before turning into purple. We also inverted the experiment, starting with NaOH inside the flask and adding HCl dropwise, in which the solution inside the flask started as purple and drastically changing to red after adding HCl. We also worked with an aqueous solution of a weak base (ammonia). Adding ammonia dropwise to a flask containing HCl started with a red color in the flask, which turned abruptly to blue green and with additional ammonia, the flask went through blue, indigo and purple. The combination of weak acid and weak base allowed the students to observe the entire rainbow of colors. Aqueous equilibrium involving precipitation was also introduced via "chemical mastermind". In this set of experiments, colorless aqueous solutions containing various ions were used. Certain combinations of these ions resulted into precipitates, some are brightly colored. With these results, students were then able to identify which ions were present in the original colorless solutions. Of course, chemistry would not be that much fun, without vigorous reactions. So we started adding small pieces of lithium metal into water. 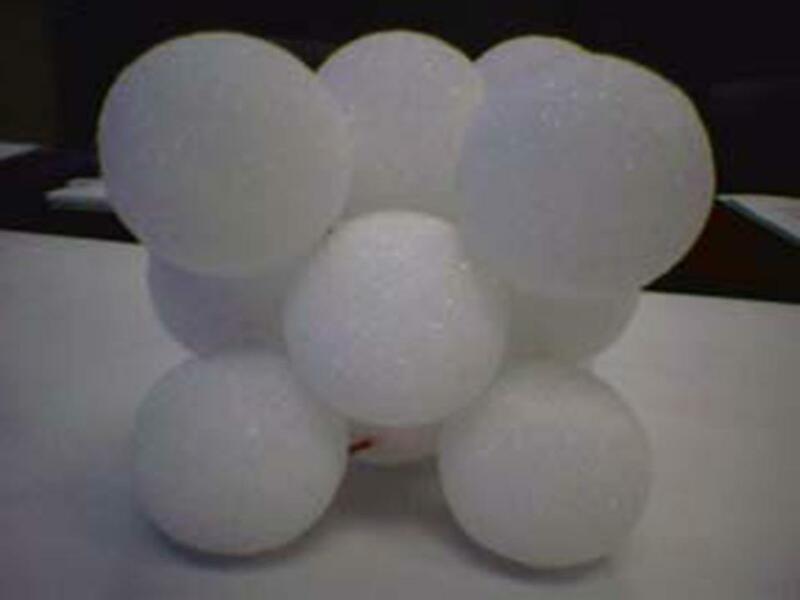 That produced bubbles and after some time, the pieces of lithium metal would disappear. Then we switched to small bits of sodium metal and that was a bit more exciting. But the students really marveled when they saw what happened to potassium when added to water. These were the alkali metals and it was very clear that these metals were very reactive towards water. These metals were not like copper, silver, platinum or gold, whose ions have very favorable reduction potentials. With these lattices, the students learned to distinguish between atoms that were on the face, atoms that were at the corner, and atoms that were inside the cube. It was an exercise into understanding how nature packs things and it allowed students to appreciate how much empty space was there in each type of arrangement. At one time, we had no electricity so we could not do an experiment. So I suggested to Fr. Schmitt that we used the reaction between iron(III) and oxalate ions. This reduction-oxidation reaction required light. The students thus performed the experiment outside the chemistry building. The reduction of iron(III) to iron(II) could easily be visualized by adding 1,10-phenanthroline. We did not cover Boltzmann's entropy - we would leave that for college, and we did not have experiments on radioactivity. At that time, climate change and greenhouse emissions were not yet big issues. Nevertheless, a walk through ChemStart got us through quite a number of topics in chemistry. Although disappointed at first, I found myself quite engaged in ChemStart. And at the end of that summer, Fr. Schmitt found me standing right outside the front door of the chemistry building. I looked sad, so he asked me what was bothering me. I told him that after ChemStart had ended, I suddenly felt this emptiness in my heart. The summer went through with so much excitement, but at the end, it seemed that I had lost something. I thought Fr. Schmitt tried to teach me everything I needed, but how come he never told me that there was this feeling at the end of teaching. He simply gave me a profound smile. Teaching is indeed a difficult task. Amando Kapauan, who was my instructor in several chemistry classes, used to quote Charles Schultz' Charlie Brown, "How can we be wrong when we're so sincere?". He emphasized both inside and outside the classroom that we should aspire for both competence and commitment. Teaching does involve a great deal of sacrifice. But Kapauan insisted that it was not just a matter of self-giving, but as equally important, having something to give. Competence is a must. With the problems Philippine basic education faces, the words of Kapauan are of great significance. Quality of instruction depends on both competence and commitment from teachers. Herein lies the reason why addressing higher education first is key to solving problems in primary and secondary schools. “About 30,000 teachers will have to be hired to serve these new kindergarten students,” said Castro. Castro said that the teachers will be teaching 6 hours per day, or 3 hours in the morning and 3 hours in the afternoon. Each class will be composed of 45 students. “Each of these teachers will receive an honorarium of P6,000 per month, which is way below the minimum wage”, Castro notes. 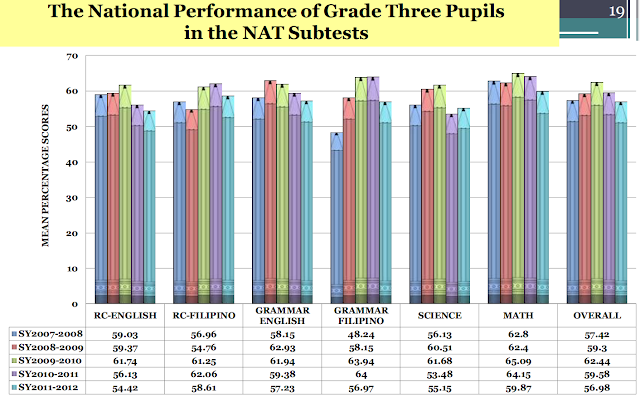 Kindergarten is the first year of the new DepEd K to 12 curriculum, yet, its implementation last year was very poor. Kindergarten, as a gateway to formal schooling, is full year and not a couple of months. Hiring volunteers to teach children in kindergarten shows how seriously (or not) DepEd views early childhood education. The honorarium paid to these volunteers likewise provides an impression to all of how much society views teachers in kindergarten. The continued exploitation of early childhood teachers hurts the teaching profession and does not help in attracting talent to this much needed component of basic education. Kindergarten is perhaps the least controversial element of the new DepEd K to 12 curriculum and DepEd continues to do a very poor job in this area. There is no reason to expect that the implementation of the other elements will be better than dismal. DepEd is simply creating additional problems to the basic education in the Philippines and delivering empty promises on improving quality. 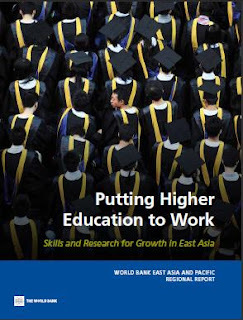 ....Increasing the number of tertiary institutions in a sending country with a low skill-price increases outbound migration of tertiary students, whereas improving the quality of domestic tertiary institutions decreases student migration. This is likely the result of the higher number of college graduates increasing the number of workers who would benefit from migrating to high skill-price countries. 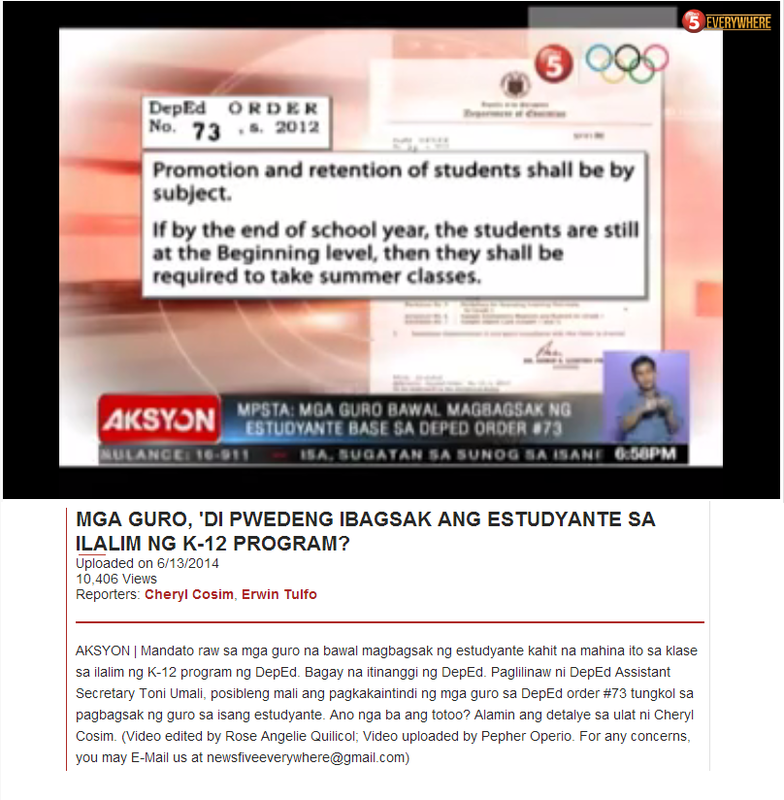 But higher quality retains students in country...."
Do you have more pictures of Mr. Amando Kapauan. He's a great Chemist! No, I do not have other pictures of Dr. Kapauan. I don't know how I stumbled upon your blog entry, but I did (albeit 3 years after you wrote it. I was a ChemStart II participant (1985) and I sure remember you and Fr. Schmitt. In fact, I had you also as my instructor the year after —for AJSS! Initially, I felt bad and felt strongly it was a fluke that I was the only ChemStart participant who had to take Chemistry (again) for AJSS when all the others in my batch (who participated in both ChemStart and AJSS) "graduated" into Physics. You noticed it too. At the end of the day, I still enjoyed myself. I've very fond memories of ChemStart and AJSS, nerd that I am —the two summers I spent at Ateneo. 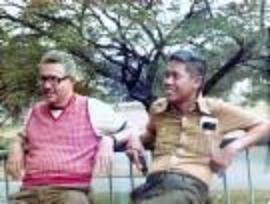 I went on to attend the University of the Philippines (Diliman) for college. Glad to see your continued commitment to teaching. Hello, Maan. Nice for you to drop by.